The following are the terms and conditions of Crosswater London USA‘s (“Crosswater London’s”) exclusive written warranty. No warranty by any person in addition to or different from those made in this limited warranty shall be binding on Crosswater London. 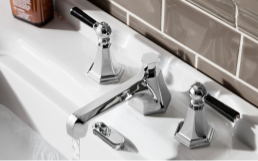 All Crosswater London products are covered by a Limited Lifetime warranty except bath furniture (15 years), mechanical parts of toilets and ITD-5135 (5 years), and toilet seats (1 year). Crosswater London warrants that it will, at its election, repair, replace or make appropriate adjustment for any product that proves defective in materials and/or workmanship under normal residential installation, use and service within the warranty period for that product as stated in the “Residential Warranty Periods ” set forth below. This limited warranty is limited to normal domestic use only and excludes damage resulting from reasonable wear and tear, misuse, abuse, neglect, or improper installation, maintenance and repair. This limited warranty is provided to the original purchaser only and is not transferable. Labor charges incurred by the purchaser to repair, replace, install or remove any product are not covered by this warranty. This limited warranty is subject to the “warranty exclusions and disclaimers” set forth below. Crosswater London products used commercially are warranted by Crosswater London to be free from manufacturing defects for a period of one (1) year from the date of acquisition by original purchaser. This limited warranty is subject to the “warranty exclusions and disclaimers” set forth below. Limited Lifetime warranty on all finishes except living finishes and drains which are excluded from the warranty. Due to the nature of drain usage, there is no finish warranty on any drain product (including lavatory and bathtub drains). 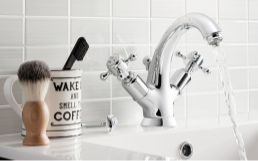 To the maximum extent permitted by law, Crosswater London makes no other warranty, express or implied. 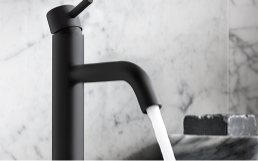 To the maximum extent permitted by law, Crosswater London expressly disclaims the implied warranties of merchantability and of fitness for a particular purpose, and all other obligations or liabilities on the part of Crosswater London. Under no circumstances shall Crosswater London’s liability to buyer or any third party, whether in contract, in tort, under any warranty, in negligence or otherwise, exceed the purchase price paid for the product. In no event (including with respect to any implied warranties that may not be waived or disclaimed as a matter of law) will Crosswater London be liable for any economic, special, incidental, indirect or consequential damages, whether based on breach of warranty, breach of contract, negligence, strict liability, or any other legal theory or otherwise. Without limitation to the foregoing sentence, damages that Crosswater London will not be responsible for include, but are not limited to: loss of profits, loss of savings or revenue; loss of use of the product or any associated equipment; cost of capital; cost of any substitute equipment, facilities, or services; downtime; the claims of third parties, including customers; loss of goodwill, loss of business opportunities and/or damages on account of personal injury, physical harm or injury to property. 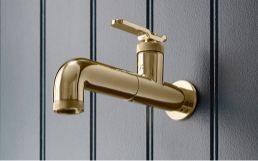 To the maximum extent permitted by law, Crosswater London is providing this limited warranty in lieu of all other warranties, expressed or implied. To the maximum extent permitted by law, any implied warranty, including the implied warranties of merchantability or fitness for a particular purpose, are limited in duration to the duration of this warranty, or the applicable limitations period set by your state or province, whichever is shorter.